The Raiders Majestic Ultra Streak Polo was made for Raider fans to casually show off their team pride! 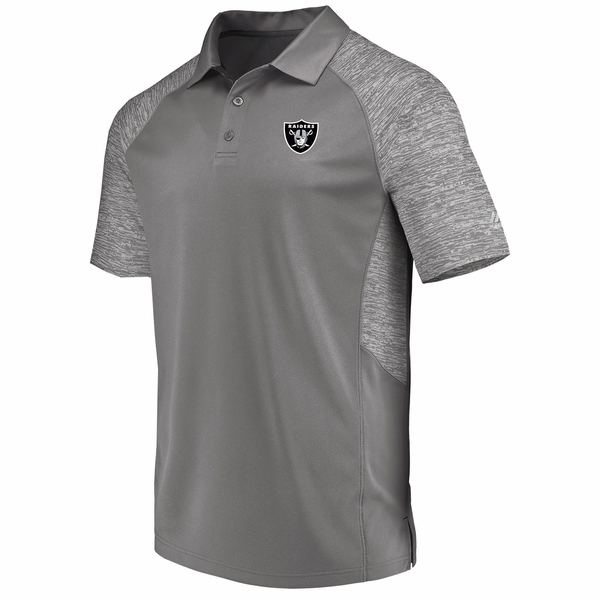 This polo features a screen printed Raiders� shield logo on the left chest, a three button placket, and heather grey details on the sleeves and side for an athletic look. 100% polyester.